I was visiting my sister in Boston a month ago, and found myself amused (and strangely inspired) by watching, of all things, the kid’s show Bubble Guppies. If you haven’t heard of it, it’s basically a cartoon about a group of merperson preschoolers who go on adventures and learn life lessons in the sea (is merperson correct? Mermaid boys and girls who go to school in the ocean…I’m not sure why I’m looking for any of it to make logical sense. It’s cute and draws my two nephews in like flies). 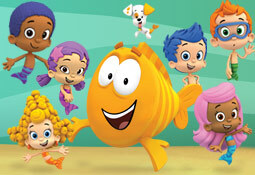 The point is that this show follows your typical preschool cartoon formula. Present children with a group of very enthusiastic (one might say too enthusiastic) preschool characters who sing, smile a whole lot, and are oh so happy to make learning fun! What caught my attention in watching this show with my two-year-old nephew Cole one morning was that there was one kid in the group (named Nonny) who was clearly different than the rest. I’m not talking about the color of his skin or his cultural makeup (which this show represents nicely with a diverse cartoon cast), but his personality. Unlike the others in the show, Nonny rarely smiles (even when singing, which is amusing to watch. He has a permanent skeptical face). He’s shy, always looks wary of the goings-on around him, and is thoughtful and reserved. Basically he’s the kid I was as a child, the kid I see some of my friends have now, the kid who stays on the outside of the group until it’s safe to come in and play. It occurred to me in watching this character that I would have loved Nonny growing up because he reflected me and didn’t fit in naturally with the rest of the more extroverted and boisterous group taking the focus and attention. And in the show, that was presented as a-OK. I mention this story because I think this sort of thoughtful characterization on the part of the show creators (yes, on a preschool cartoon) is applicable to the way we look at the literature that is shaping our children today. When you take a look at the ongoing diversity conversation in this industry, you have to experience it through an impressionable child’s eyes, and how all characters in every story are portrayed within the diversity spectrum from top to bottom. Children are so malleable and so hungry to explore and understand the world around them and, most importantly, how they fit inside it, that they are hyper-attuned to how any character they see that reflects their own image fits into his or her surroundings (in television, literature, and other mediums). Nonny works well because, while he’s different, he’s not called-out for being so, nor ostracized from the group as the stereotypical quiet kid. He just joins into the group when he wants, and kids who watch the program have the benefit of watching a character who is a little quieter and yet still has a place inside that world (of merpeople). 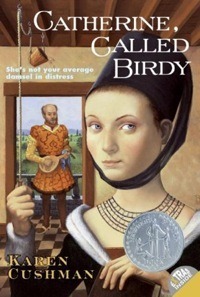 Now I’ll confess here that I’m a white female working inside the publishing industry, so my inspirational characters growing up were Eloise (as a small child), Catherine (from Catherine, Called Birdy), and Jane Eyre (minus the crazy wife in the attic). But those characters were so vital to my own childhood development in identifying with strong female figures with heart and intelligence and endurance I could aspire to in my own life, that they’ve stuck with me still now that I’m into my thirties. And for my nephews, my friends’ children, and my own (theoretical) children down the line, I want to gift them with a world where they have access to a variety of characters who fit their identities that they can safely attach to and learn from, both in personality and in their cultural makeup. While I think we are making strides toward more diverse children’s literature, so, so many children of differing cultural backgrounds remain so sorely underrepresented in the books created for them today. 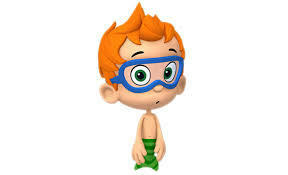 And just like my connection with little Nonny on Bubble Guppies, there are so many children throughout the world looking for a bit of themselves in everything they’re soaking in with the literature they devour. It breaks my heart that some of them likely aren’t finding it. So it’s worth reiterating that producing, marketing, publicizing, and selling children’s books featuring diverse characters isn’t just an item to check off our list to then move on to the next thing. It’s a necessary, fundamental shift that is vital to how we do business to gift future generations with a more colorful and safe world to develop in, to become the best people they can be. With so many kids of all different backgrounds looking for a little bit of themselves in the literature that’s shaping them, day by day, it is our duty to make sure that literature is up to the task.